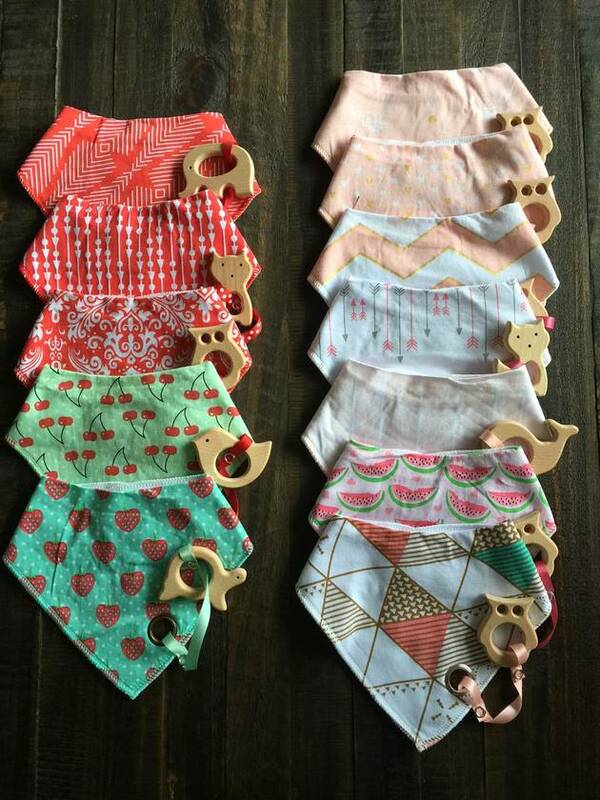 Note: Cherry,anchor,black jungle hippo,watermelon and deer print are now sold out. Please enquire about a print before purchase as we may have new ones available and some may have been sold as we have our items available else where. 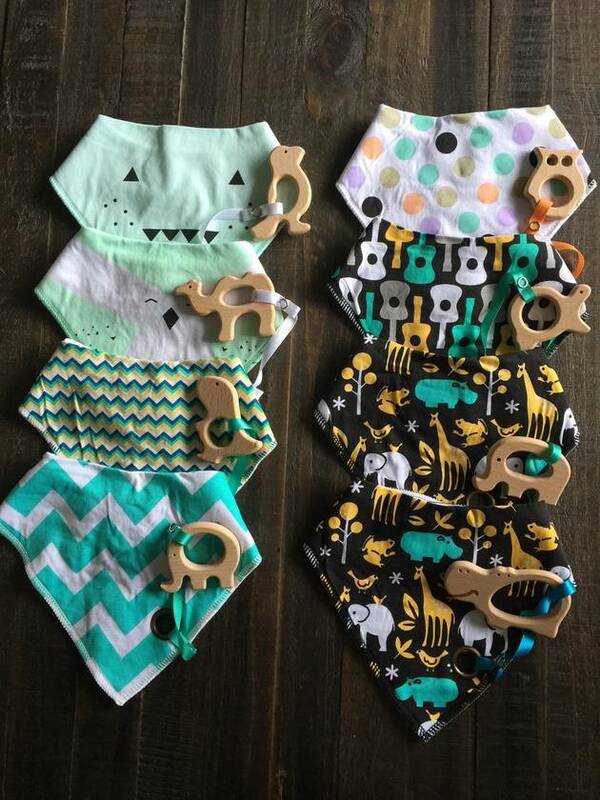 Beautiful pattern Bibs with natural wooden animal/shape teether attached. Easily removed and clipped back on so the bib can be washed. Please enquirer about stock as our products tend to sell quicker than we can keep our listings up to date. Wood is maple.Naturall finished for allergy reasons we like to leave the finish up to the individual to decide however we do recommend a finish of some sort to extend the life of the product. Beeswax, Olive oil or coconut oil are the best natural finishes we recommend using and applying from time to time. We provide a care plan with each purchase so you know how to clean and maintain your wooden product. 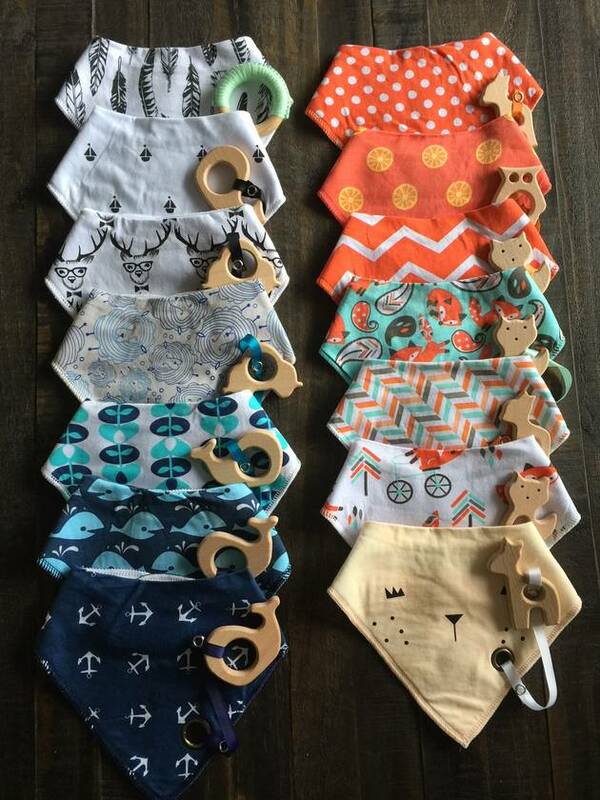 Contact homespunarty to enquire about payment or shipping options.